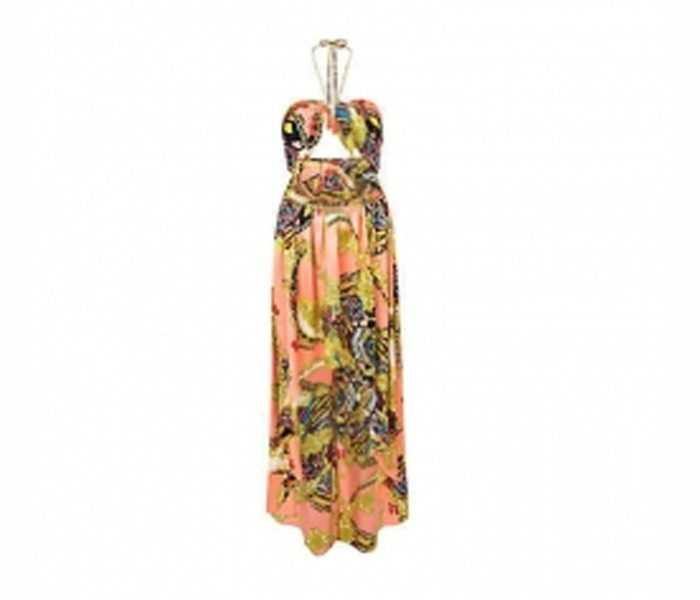 The Halter-neck beach dress sports a very unique design. Designed with an ankle length body, clear midriff and bandeau bust secured with sturdy strings, this option has everything to make it perfect for the sandy stretches. The color combination of this option is also very unique sporting a blend of blue and green irregular patterns on simple solid peach.